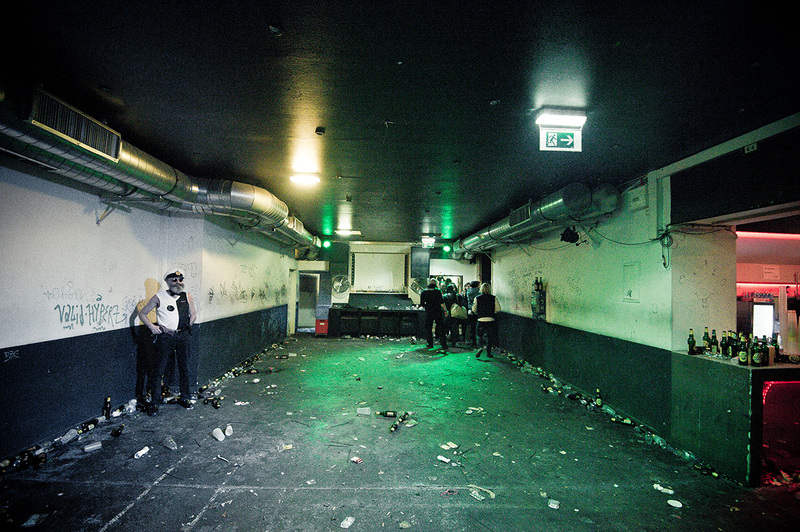 Last Sunday, Vienna said farewell to an old friend: the Pratersauna nightclub. The venue shaped and revitalized Viennese nightlife over the past seven years, but it wasn’t just a club—it was a moment in time. Its closing weekend brought together former regulars, usual suspects and new guests for a three-day celebration of the time we all spent there. It was one weekend to rule them all. 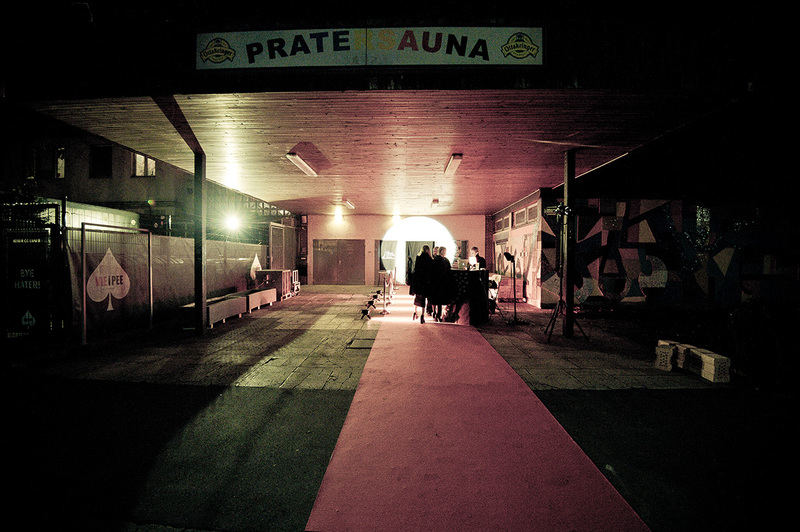 Pratersauna was important to Vienna because it filled a gap that appeared around or after 2005, when the city’s nightlife began to grow more and more plain. Popular locations like the Künstlerhauspassage shut down, and even clubbing institutions like Flex, which used to stay open till sunrise, struggled with police raids and curfews. Of course, you could still drink and go out in Vienna even when the club situation was at its most dire, but people still hungered for parties like the ones they knew from their trips to Berlin. They wanted longer hours, more techno—more freedom. Pratersauna delivered, and Vienna was stoked. Suddenly there was a beautiful, dirty club full of dirty, beautiful people. It had after-hours parties that lasted till midday, drugs and some kind of anarchistic spirit. The sound system was bad and the bartenders were even worse. In other words: it was magical. Pratersauna derived from the regular Wurstsalon parties, which took place at different off-locations. The last one happened in a former sauna in Vienna’s large Prater park, which is how the club got its name when Hennes Weiss and Stefan Hiess founded it in 2009. Even as a club, it still looked in many ways like a sauna; some of the walls were still covered in tiles and it had two swimming pools that sometimes contained water, but there were horrible rumors about the diseases you could catch from them. It opened with one dance floor, but by the time it closed it contained four floors and a garden area for outdoor parties. Although it became bigger and more professional over the years, it retained its run-down look that was integral to is charm. The first three years were golden—not just for Sauna and its audience, but for Viennese nightlife as well. Other clubs followed, like Grelle Forelle and the Auslage, as well as parties like Hart aber Herzlich and Praterei. Young people, especially Germans, moved to the city. Everything was good. But of course, it didn’t last forever. Perhaps Viennese nightlife over-extended itself or grew too fast too soon. When the influx of students halted, a period of hangover and reorganization began. Things were even more complicated for Pratersauna, because the Vienna University of Economics and Business moved in next door. Its audience became younger and less “art school,” and those who had been regulars visited less and less. When Hennes and Stefan finalized the sale of the venue, a big wave of nostalgia set in. I asked Hennes what he imagined for the perfect closing party. “If the regulars from 2009 to 2013 came together with the current crowd,” he responded. “We always wanted to create a place for people to meet.” Well, mission accomplished. Over the course of the weekend, those who were there from the beginning drank with people who were 13 when the club opened. At peak time, the 20-somethings danced in the pools while the 30-somethings hung around in the office, reminiscing about old times. On Friday at 2 a.m., I was I was waiting for my turn on the decks on the Pool Floor. Pratersauna staff had decided not to book big international artists for its farewell bash, and opted instead for the people who had been part of the experience all along. 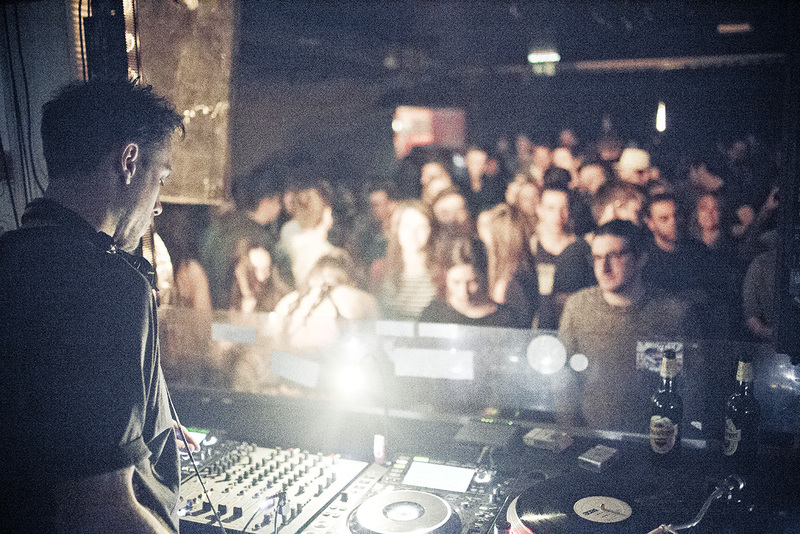 Throughout the last month, artists like Kerri Chandler and Apparat returned to the Sauna, but the last days were reserved for the DJs and collectives from Vienna and Berlin. It was like some kind of family reunion, but with more love in the air. In my own biased-old-person opinion, the best moment of the closing weekend was not the big finish, the demolition, the sparklers, the chorus of “I wanna dance with somebody.” The best part of Pratersauna’s closing weekend took place between the hours of 9 a.m. and 4 p.m., when nobody knew who was behind the decks. Freaks with big pupils milled around, smelly and spreading love. Seriously, I’ve never received more hugs in such a short amount of time. It was a rare atmosphere for Vienna, which is a city with a complicated relationship to after-hours parties. By the dwindling hours of Sunday night, the situation had tipped. The few rules that Pratersauna had upheld since the beginning no longer applied. It was too full not to bump into people. Somebody pissed against a wall next to me. It was like house party that had spiraled out of control because an admin had entered the wrong settings into the Facebook event. While talking to somebody about a particular party in 2009, I began to realize that all this wouldn’t be around the next day. And in some way, it felt okay. It was a great time, but times change, and that’s a good thing. I will always remember Pratersauna, and not just because of the scar I got when I slipped on the stairs a few years ago. I’ll remember it for what it meant to me and a lot of people I know. Pratersauna was not just a club, not just a space, but also an era—at least for a particular group of people who had the pleasure to be in the right place at the right time. On Sunday, a friend of mine said some wise words. “In a few hours, we all need to grow up.” Maybe she’s right. At least a little bit.